KB Chandrasekhar helped set up a research centre in 1999 at the Madras Institute of Technology Campus of the Anna University. He infuses $1 million every year into the research centre. It underlined his strong belief in research as a passage to entrepreneurship. The vision of the centre is to become a research institution of international repute. In pursuit of this mission, the AU-KBC Research Centre initiates research in new and emerging thrust areas such as nano-sciences, and expands research in established areas such as communications and biology. Kallol Borah is the founder and CEO of Aumega Networks, a software infrastructure company with a presence in India, UK and Japan. Aumega Networks licenses software development kits for software-as-a-service computing (SaaS) — especially peer-to-peer software services. The company’s technology enables implementation of application services that are network and device neutral and are more commonly used in the domains of industrial and personal area networking, mobility and supply chain management. Kallol has 8 years of industry experience and has played roles from selling services to managing products for Aumega Networks and managing its transition from a software services provider to a technology and enterprise product licensing business. Prior to that, he worked at Reliance Industries Limited in business development and project finance functions. Kallol did his post-graduation in Economics from the London School of Economics. 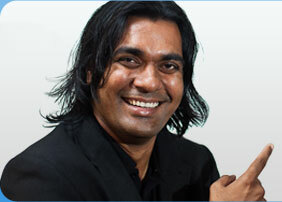 Sekar Vembu is the founder & CEO of Vembu Techologies, a company that focuses on the online storage backup market. Sekar is a serial entrepreneur with over 11 years of experience in the IT industry. He was a co-founder, the CTO and a Business Unit head for AdventNet, a leading player in the network management domain, albeit better known these days for the Zoho suite of products. He had helped AdventNet grow to a 300-person organization without raising any venture capital funding. After Adventnet, he founded SwissSQL, a database migration solution that helps save over 90 percent of the migration effort and over 80 percent of the costs typically involved in database migration projects; SwissSQL was later acquired by Adventnet in 2004. Thereafter, Sekar founded Vembu Technologies and has played the pivotal role in growing Vembu to its current position. Sekar holds a bachelor’s degree in Mechanical Engineering and a masters degree in Operations Research – both from IIT-Madras. Sam Sethi is a London-based technology entrepreneur and consultant. Sam recently launched BlogNation, a worldwide network of blogs focusing on Web 2.0, mobile and enterprise startup space in 22 countries around the world (except the United States). Sam was known in the blogosphere for the good coverage he did at TechCrunch UK. After a public split with Mike Arrington , he began Vecosys, and now BlogNation. Sam has worked in the IT industry for over 18 years for companies like Microsoft, Netscape, Gateway Computers and CMGi, in a variety of senior technical and marketing roles. Sam has also experienced the joy and pain of running his own start-ups. Recently, Sam has been working as a freelance consultant with companies such as MSN (UK) and BT, helping develop their Web 2.0 strategies. When not blogging, consulting or presenting, Sam loves nothing better than spending time with his wife & young family, running, drinking fine wine with his friends or watching his beloved Liverpool FC. Oh, just a quick note to let you know that the audio quality isn’t the best. To make it easy, I have transcribed the conversation below and it will be a good supplement to the podcast. Proto.in is a bi-annual event in India that showcases technology start-up companies and innovative products. Organised by The Knowledge Foundation, a national network of entrepreneurs and technology enthusiasts, the second edition will see participation from 23 startup companies carefully chosen from a list of 120 nominations. Each startup will get exactly 6 minutes of stage time to demostrate their product to a select group of venture capitalists, angel investors, technology influencers and media professionals. The event has attracted 22 venture capitalist firms, including Canaan Partners, Reliance Technology, Greylock Partners, Silicon Valley Bank, Clearstone Ventures and others representing over $1.5 billion in fund size for India investments. The National Association of Software and Services Companies (), The Internet and Mobile Association of India (IAMAI), The Indus Entrepreneurs (TiE), and TeNeT of IIT Madras are supporting the event. The second edition of the event takes place at the Indian Institute of Technology, Madras on July 21 and 22, 2007. In this episode, Vijay Anand, one of the organizers of the event, talks about Proto’s objectives and its future plans. Disclosure: I’m one the co-founders of The Knowledge Foundation, the parent group that runs Proto.in. I’m on the core organizing committee of Proto.